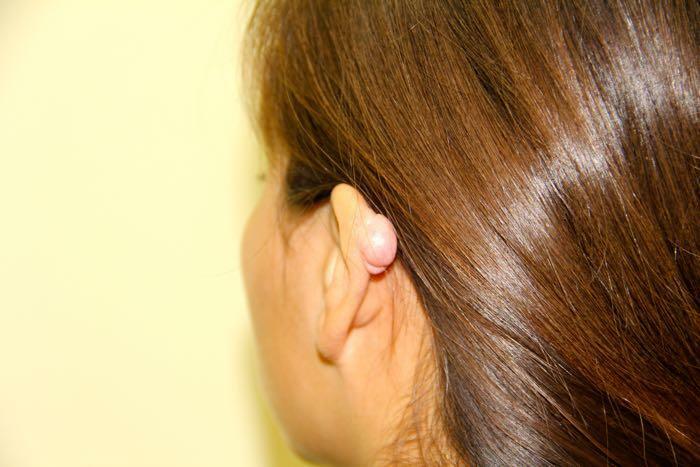 Ear pinning, also known as otoplasty, is a procedure that is used to improve the appearance of ears that are large or stick out too far from the head. 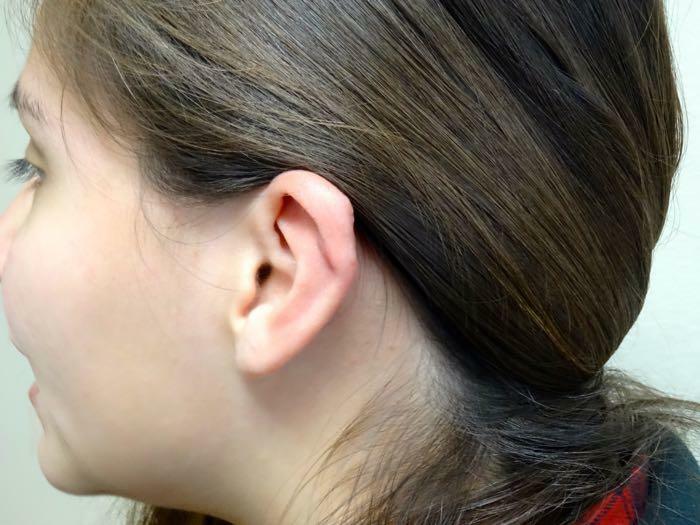 By pinning the ear so that it lies flatter against the side of the head, the procedure can greatly enhance an individual’s appearance and self-esteem. Otoplasty is common for children between ages 4-14 who are embarrassed about or dissatisfied with the appearance of their ears. 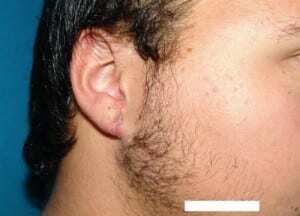 Once the ears have fully developed, otoplasty can be performed, which typically spares the child from ongoing teasing and bullying associated with protruding ears. 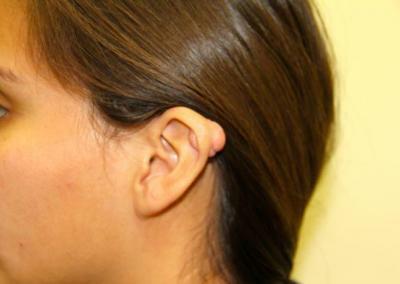 In otoplasty, Dr. Jaibaji can reshape the ears, creating a normal appearance for children who have protruding ears. First, he creates an incision behind the ear, allowing him to fold, reshape, or remove cartilage and position the ear closer to the head. The incisions are then sutured shut and bandages that typically stay in place for approximately one week are applied to the ears. Ear pinning is a relatively safe and effective procedure with a short recovery time. Because of this fact, ear pinning can be performed on children as young as four but is also suitable for adults of any age. To repair your earlobe, contact Dr. Jaibaji’s office for a consultation. The procedure can performed the same day of the consultation. 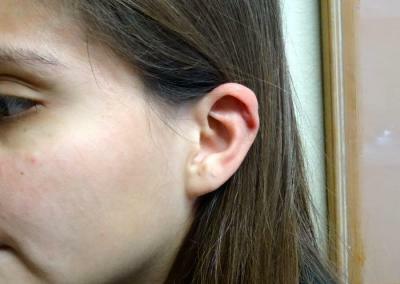 Pricing depends on the type of repair and whether one or both ears need to be repaired. 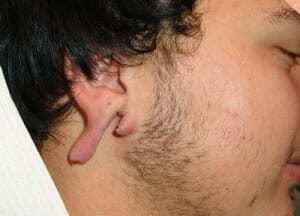 Patients are advised not to pierce their ear for about 6 week after repair. 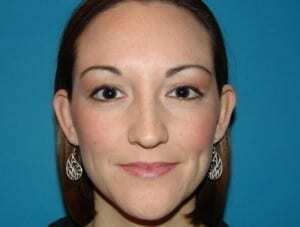 Facial Procedure: Ear Surgery San Diego, Coronado and La Jolla. 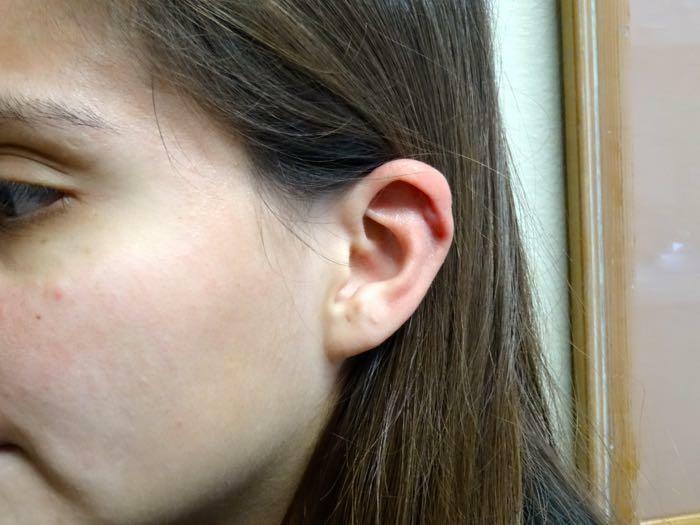 This patient, from San Diego, had a torn right earlobe and an expanded hole on the left side from a previous ear piercing.This is the result of use of different size gauges to expand the earlobe. The ear lobe was subsequently torn on the right side. He underwent repair of both earlobes. The procedure was done in the office under local anesthesia. 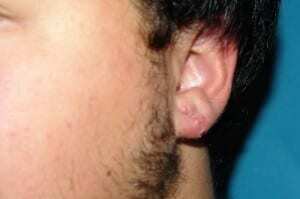 This patient underwent excision of a keloid scar related to ear piercing.